Working with CRWP Co-Director Kathy Kurtze (shown here), as well as Elizabeth Brockman and Shannon Powell, I facilitated the Chippewa River Writing Project’s 2013 Invitational Summer Institute. 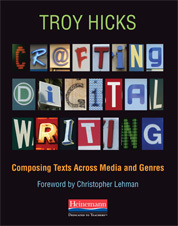 Over the past few weeks, I have had the good fortune of facilitating our 2013 Chippewa River Writing Project and participating in a number of Google Hangouts where I have talked about my new book, Crafting Digital Writing. I’ve gathered all those videos up and posted them on a page of the book’s companion wiki. All in all, I’ve had some great conversations with some amazing educators, and I hope that you find them as useful to listen to as I found them when I was participating in them. 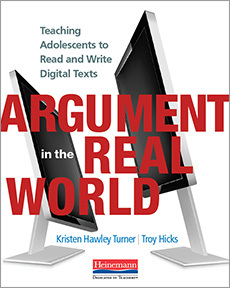 Hicks, T., & Turner, K. H. (2013). 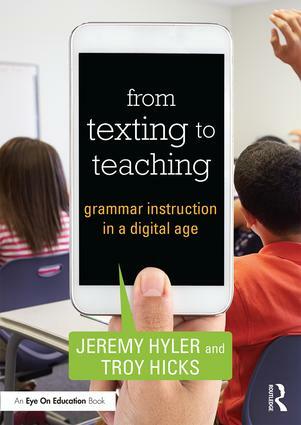 No longer a luxury: Digital literacy can’t wait. English Journal, 102(6). Hicks, T., Turner, K. H., & Stratton, J. (2013). 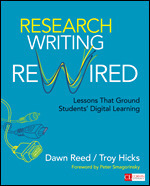 Reimagining a Writer’s Process through Digital Storytelling. LEARNing Landscapes, 6(2), 167–183. Then, last week, I was out in Colorado presenting at the Conference on English Education summer gathering. It was great to talk with other English educators about the power of my professional writing group and some of the research I am working on right now. Needless to say, it’s been a busy summer so far! 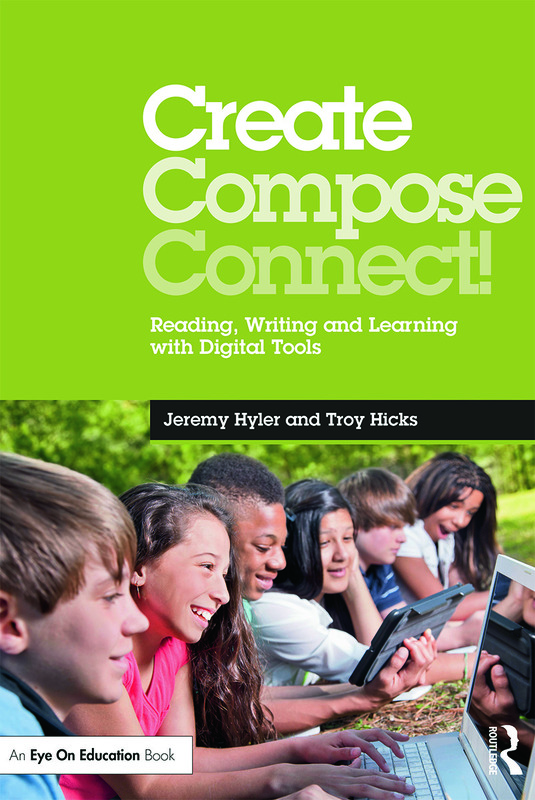 As I reflect on the summer so far, I have been impressed with the willingness and dedication of teachers, all working to understand the Common Core and implications for digital writing with their students. Most of these conversations have been positive, despite the negative political rhetoric surrounding the CCSS right now. I am still not an outright fan of CCSS, but I am confident that many teachers are thinking about how to use these standards in thoughtful, generative, and — dare I say it — even creative ways, not reductive ones. 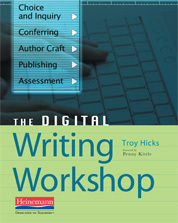 Let’s hope that we can keep the positive momentum going, focusing on how to help students craft digital writing. One last note — please join in the book’s G+ community and feel free to post. I need to get back in there and stir up some conversation, yet always welcome comments, questions, and insights from you, too. I love the idea that using technology is no longer just a resource at our disposal, but now a necessity to succeed in this technological world that we have created for ourselves and for the future leaders of the country. I am currently in a class at the University of Kentucky, and one of the requirements of the class is to comment on other blogs to become more technologically savvy and also post weekly on our own class-wide blog. Technology is taking education by storm and everyone might as well get on board! Glad to know that you are thinking critically and creatively about the uses of educational technology in the classroom. Please stay in touch and let me know how your thinking grows over the semester!